Liberty senior offensive tackle Brandon Yates committed to play at West Virginia on Wednesday. He announced his commitment via Twitter. The 6-foot-4-inch, 275-pound Yates had 11 scholarship offers, including offers from Arizona State, Boise State and UNLV, according to 247Sports. 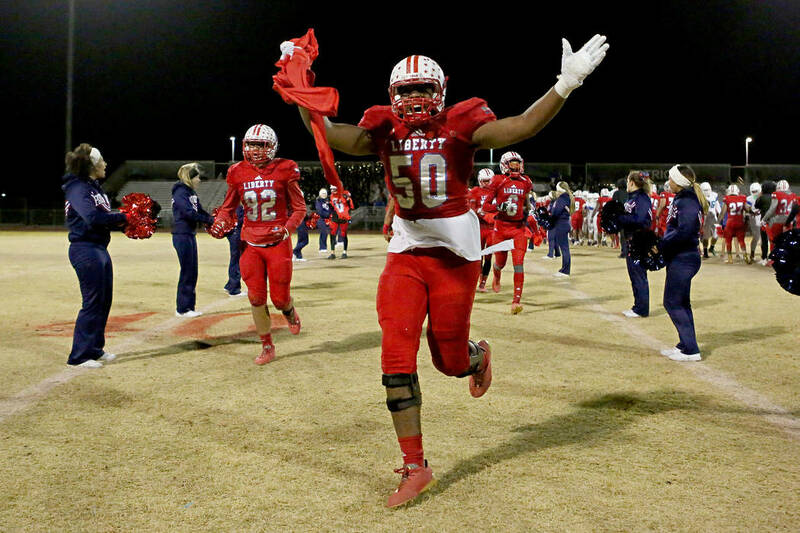 Yates is the second Liberty lineman to commit in the past week. Tackle Troy Fautanu committed to Washington on Thursday. The Patriots are 1-2 this season and currently ranked No. 3 in Southern Nevada.